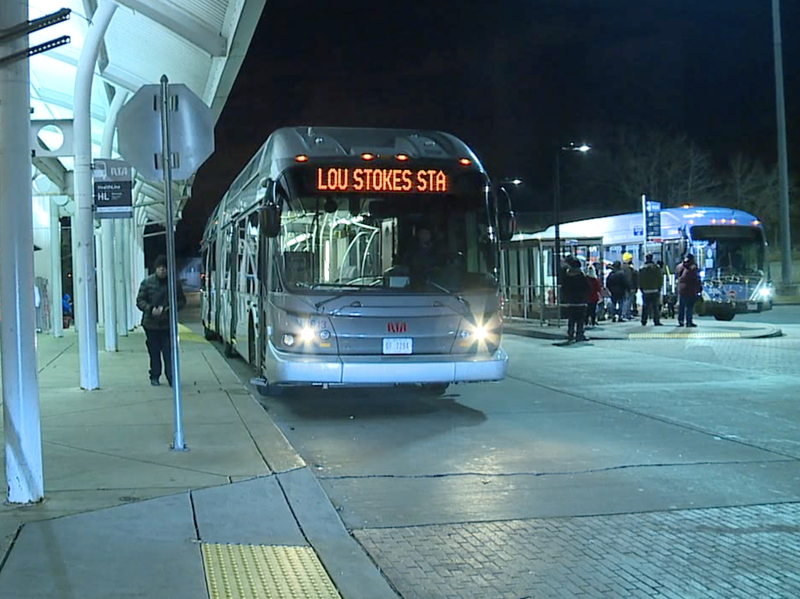 CLEVELAND — The Greater Cleveland Regional Transit Authority is hoping three major studies will help it make major improvements in service and reliability in 2019. RTA Board President Dennis Clough says RTA will conduct studies on economic impact, operations, and fare structure in an effort to increase efficiency in services. Clough believes finding the right general manager, and the appointment of new board members, will also help make improvements at the economically embattled agency. "2018 was not a good year for us, but we are turning the corner," Clough said. "We're taking another look at our fare structure to see if it is a reason we are losing riders," he says. Still, Chris Stocking, with Clevelanders for Public Transit believes much more needs to be done. Stocking pointed to RTA service issues in 2018, the resignation of the RTA general manager, and major turnover within the RTA board. Stocking said dramatic changes are needed to deal with continued funding issues that he said caused fares to double and a 25 percent cut in RTA services since 2005. "It's definitely urgent, I mean if you're not getting people on the system, you're not really seeing the issues," Stocking said. "Single car red line trains that are really packed on the west side in the morning, light rail cars that are breaking down and causing significant delays," he said. "We believe that putting a rider directly on the board would bring a fresh perspective that a lot of the board members that don't use the system very often just don't see." "We really do need some drastic change and some fresh perspective. "The union has been pleased to see recent positive changes with GCRTA’s board. The board's decision to seek new leadership in management has the potential to bring great improvements to RTA, provided that they pick a leader willing to listen and collaborate, and they themselves continue developing a vision for the RTA's future openly and transparently. At the same time, Local 268 is frustrated that the RTA has stalled on a fair contract for its workers, demanding cuts to health care and refusing cost of living increases. Despite all the turmoil in RTA’s leadership, it is our workers who have kept moving RTA forward every day despite increasingly challenging conditions. The union wants to work together with RTA to make improvements for our community, and secure jobs where salaries keep up with inflation and healthcare costs, and to secure funding for public transit services."